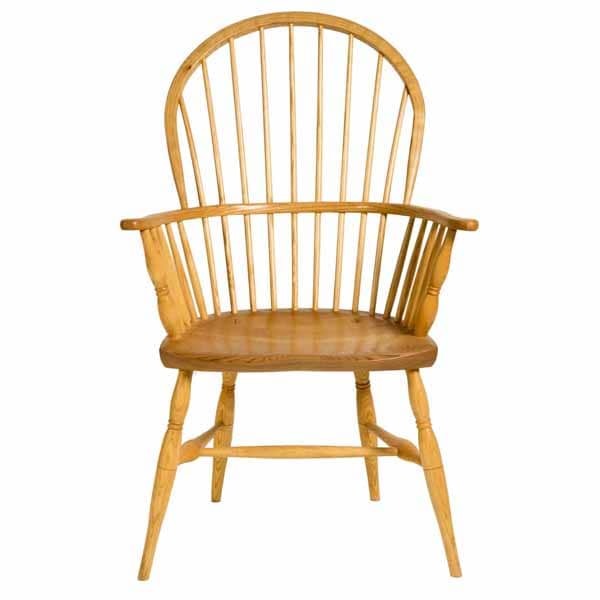 These armchairs feature prominently in both the English and American traditions. 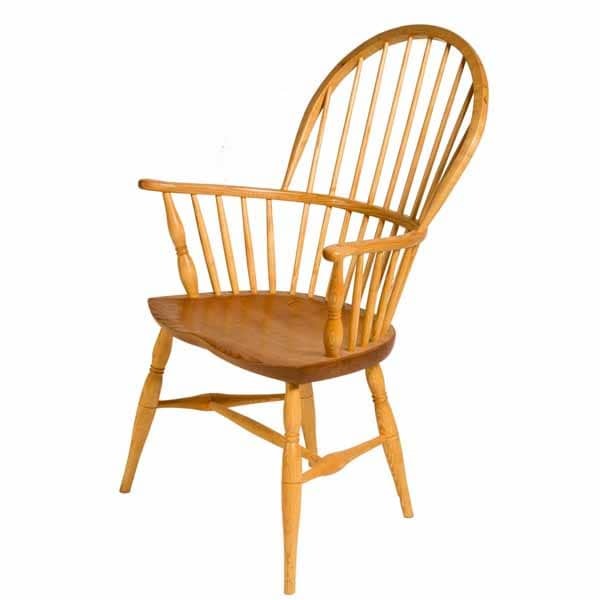 This large modern chair, shown here in ash with an elm seat, has features from both. It is designed to be used for relaxing and perhaps reading the paper. 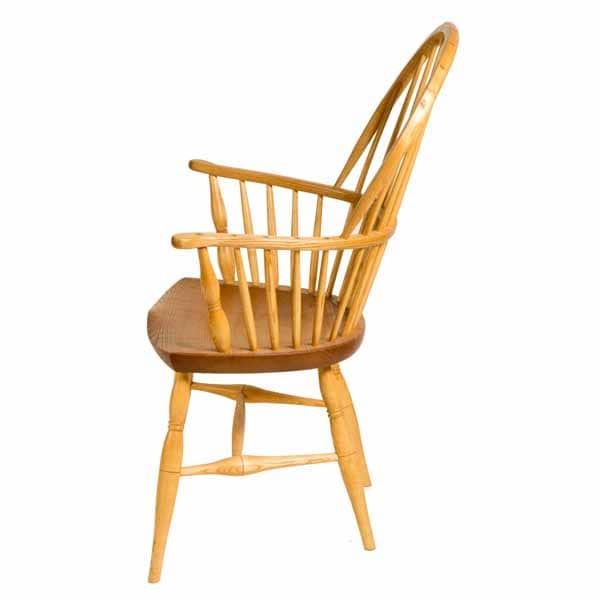 The wide seat, broad back and large number of spindles make it particularly comfortable. The ‘D’ shaped seat is deeply hollowed for maximum comfort. The spindles are turned, though they could be shaved if preferred. The asymmetric side stretchers give the undercarriage an old-English flavour. 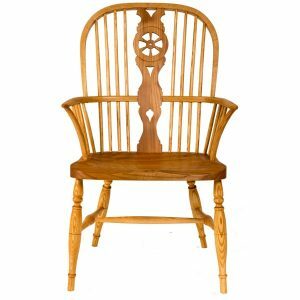 The double bow Windsor armchair shown has been made by James Mursell of The Windsor Workshop in Sussex, England. 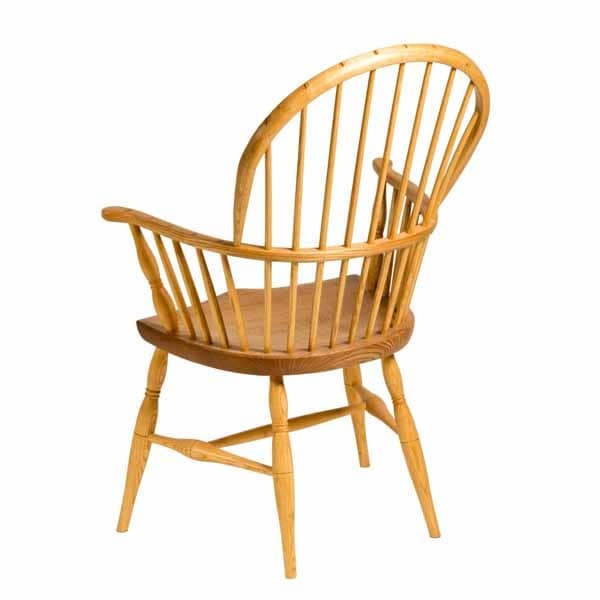 This is a contemporary design which combines features from both the American and English traditions. 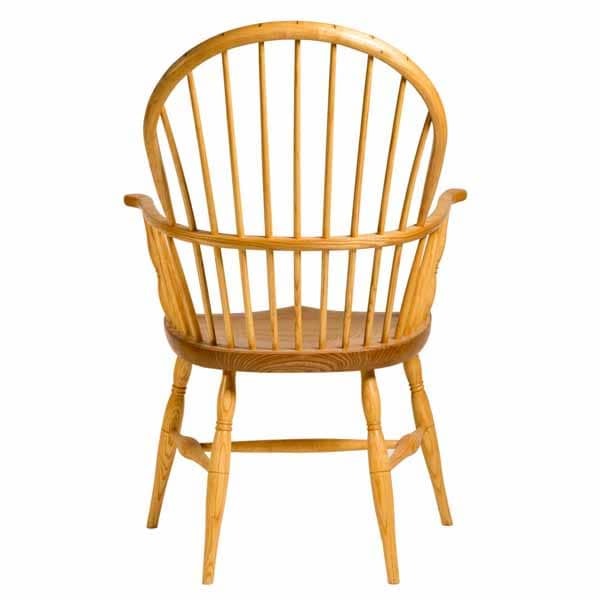 James’ guiding principle when creating Windsor chairs is to make them as elegant as possible. This is achieved by removing all unnecessary wood from the chair. In addition each part is shaped to minimise its visual weight, where appropriate.